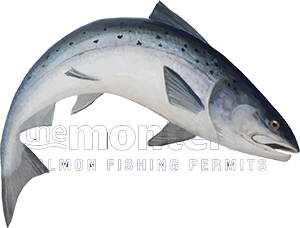 Selecting a salmon fly can be a daunting task for a new salmon fisher who in most cases will 'pass the buck' by asking the salmon beat ghillie or one of his fishing colleagues what to tie on. This is the initial stage of salmon fly selection that we all go through when faced with a riverbank decision on which fly to fish. This 'pre-faith' stage of selecting the correct salmon fly will usually be close enough to have a reasonable chance of a fish. There is however a big difference between 'recommended' faith and 'personal' faith as I'm about to elaborate on. Personal faith gained through catching numerous salmon on a specific pattern allows you to approach the river with complete and utter confidence with no grey areas that could make you doubt the effectiveness of the fly you're using. Observing what fish are being caught and on what exact patterns over the years will take you closer to this 'personal faith' stage. Once you've found a pattern or two that you are 100% sure of their effectiveness you may even wish to experiment by adding in a few extra subtle ingredients that you've noticed on other patterns into the fly tying process. This is worth developing and some of the most effective patterns I personally use today have been derived from doing this. The two strands of gold holographic tinsel in the wing of this Dee Monkey are an example of this type of adjustment which I'll now elaborate on. On tube flies patterns that are designed for the higher water conditions of Spring I'll always add exactly two long strands of the above gold holographic tinsel into the wing. This deadly material if tied in long enough to reach beyond the length of the wing not only picks up any present flickers of sunlight with tantalising effectiveness but will almost waggle like a wounded sand eel even if the salmon fly slows down in the stream at the end of the swing. This addition for me earned its merit from over a decade of salmon fly take observation while serving as a professional ghillie on the River Tay. The other additional feature this Dee Monkey salmon fly pattern has is an ultra violet varnished body. The experts say that a salmon's vision is seen through the UV spectrum and what an impact I've noticed on additional takes if again this feature is built into the design of any of your salmon flies. I could write a book on things like this I've experienced over the years and maybe one day I will but these two initial snippets of information on the type of Dee Monkey salmon fly I prefer that if fished will give you that feeling that you just cannot fail whenever you fish this particular pattern in the high waters of early Spring. The successful Ally's Shrimp Cascade pattern was already a well established Scottish salmon fly pattern but again a minor modification of a copper body, two thin strands of gold holographic tinsel in the wing and a UV varnished body will mean you've got to keep a firm grip of your rod while you're fishing it! As a boy on the Tay in the 70's my late mentor Willie Laird would always select a fly or spinning lure for me with copper on it and it wasn't long before I started to realise the wisdom of his recommendations!